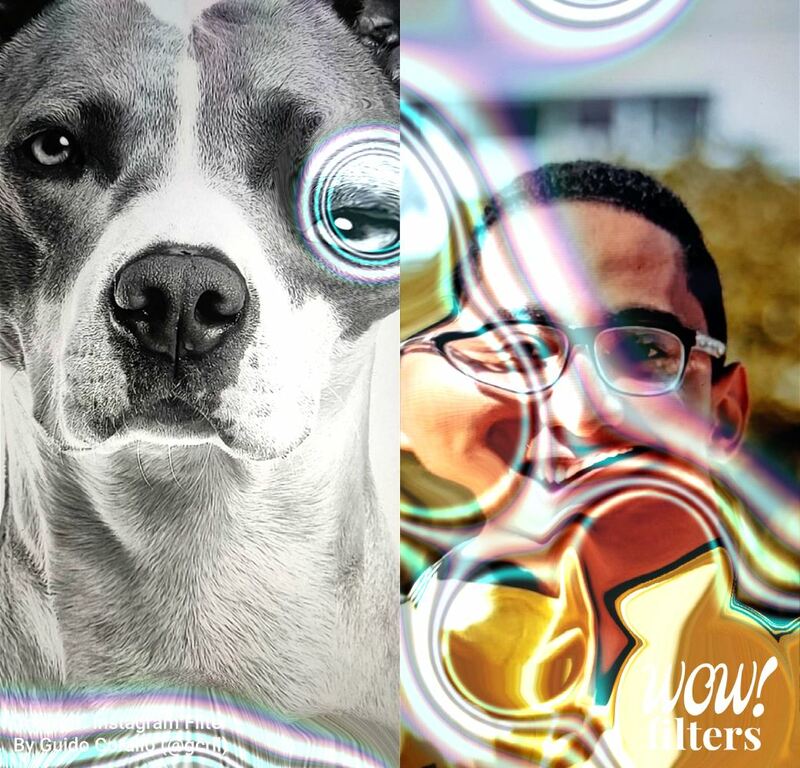 Published on Apr 12, 2019 | Filter name: "meta-B"
Today I was searching for more cool Instagram filters and came across an amazing Instagram filter by Guido Corallo called "meta-B". It was posted on Spark AR Facebook community a few hours ago. According to its developer, this filter is made almost entirely by scripting. It's a mesmerizing effect of like a reactive paradigm that distorts the video stream area which it passes over. According to the developer, this is a combination of custom particles, metaballs, and a barrel distortion effect. This is the same barrel effect that can be applied using different image editing software like Adobe Photoshop. In fact, this is the type of lens aberration that photographers are actually trying to correct when using photo editing software. There is also some autocorrection features that automatically correct barrel lens distortion. We see them usually in ultra-wide angle lenses (e.g. fisheye lenses). In this IG filter, the visual effect is very much exaggerated. It's also beautifully animated, so those particles appear to collide, merge and split from each other over time. I actually wanted to learn more about Guido Corallo after seeing that filter for the very first time. His expertise, from what I understood is in graphics and animations and he is located in Buenos Aires, Argentina. He has some really cool projects related to digital visualization that has been created purely by code. The result is fascinating abstract digital artworks. From what I can tell, he like making heavy use of particle system alongside some creative coding to generate some unique looking results. I personally liked "randomWalkTriangles" and "Atractores". His Synthetic Worms series of images, animations and real-time generative simulations of imaginary aquatic lifeforms. His goal was, and I quote: "I am particularly interested in the exploration of the minimum amount of parameters that yield a complex behavior as competition or cooperation and other social traits" (source: gcrll.net). This augmented reality filter is definitely inspired or it's better to say, a continuum of that "Synthetic beings" project, at least from what I can tell. The animation in this effect does look aquatic like as light being bent when passed through water. The animation also looks very organic and the merge and split of these particles do look similar to the behavior of water in real life. Now for me, it wouldn't be that cool if it didn't yield some cool results. After all, it is supposed to be used as a camera filter on top of the real world. I am happy to announce that it works beautifully. It helps to generate some really cool, beautiful and sometimes entertaining and funny results. Well, it depends on which subject is in front of the camera, even then, because the effect is procedurally generated, it yields different results over time. The particles move, merge and split and distort the image in different locations every time, and this yields unique results every single time. This IG filter doesn't tie itself to the face, so you can use it on anything, a building, a cat, your face, a night scene, literally on anything that the camera sees. This creates more creative opportunities for people who use this filter. It's actually one of the things that I like the most when I create things, making experiments and observing the results. I enjoy doing it in photography, when photo editing, when coding, etc. I think me and Guido Corallo share the same creative passions and it's created to see how people use coding to create some unique digital visualizations. The thing is with code, that a slight change in a numerical value can lead to completely different visual results and that's the beauty of these experimentations. I remember seeing an interview with Sean Murray, the developer of the game No Man's Sky. It's a game featuring procedurally generated worlds and characters. In one of the interviews, he demonstrated how some simple changed in the mathematical formula can change the look of the entire planet. A small change can lead to high mountains and deep lakes, and others can make it appear like a big desert. Playing with math is fun, especially when you can visualize the results in front of you in real time. You can check out this video of Sean Murray talks about the math behind No Man's Sky game. This IG filter doesn't have any subsequential interactions. At some point, I wish there was an option to just swipe on the screen and control how those watery particles move. I think this type of interaction would be entertaining and fun for users. 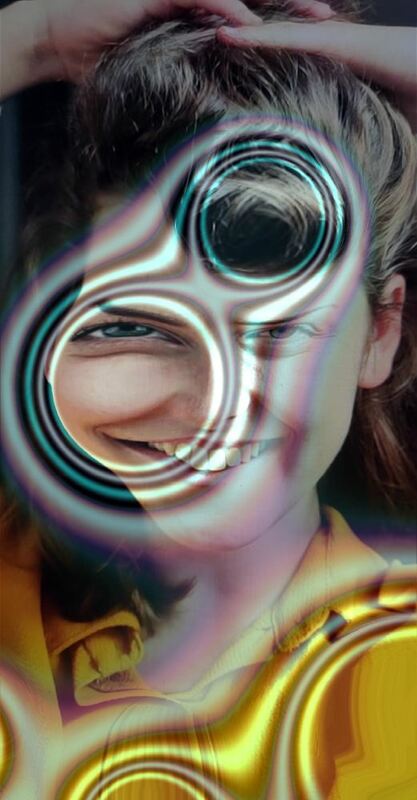 Furthermore, when I used it, I actually enjoyed creating unique images with it, getting that distortion appears in the right place. Of course, because having no control over it, I had to take a picture and hope that it will capture the right moment. This way it would be nice, but obviously overkill for a filter type of app, to have the option to swipe and control the movement, so the movement only happens when I swipe or open my mouth for example. The reason I say all that is because I saw this Instagram filter as an artistic tool that can help me create some cool things with it, the same thing you can say about filters in Photoshop. Some of those filters I use on a daily basis to achieve a certain thing like banners that I make for my websites. By the way, imagine the same effect that can respond to sound and be animated or change colors based on the sound and voices recorded through the phone's microphone. After all that, you can see why I absolutely love using meta-B IG filter and it's definitely one that I am going to keep using to create some interesting images and videos and share it with others. 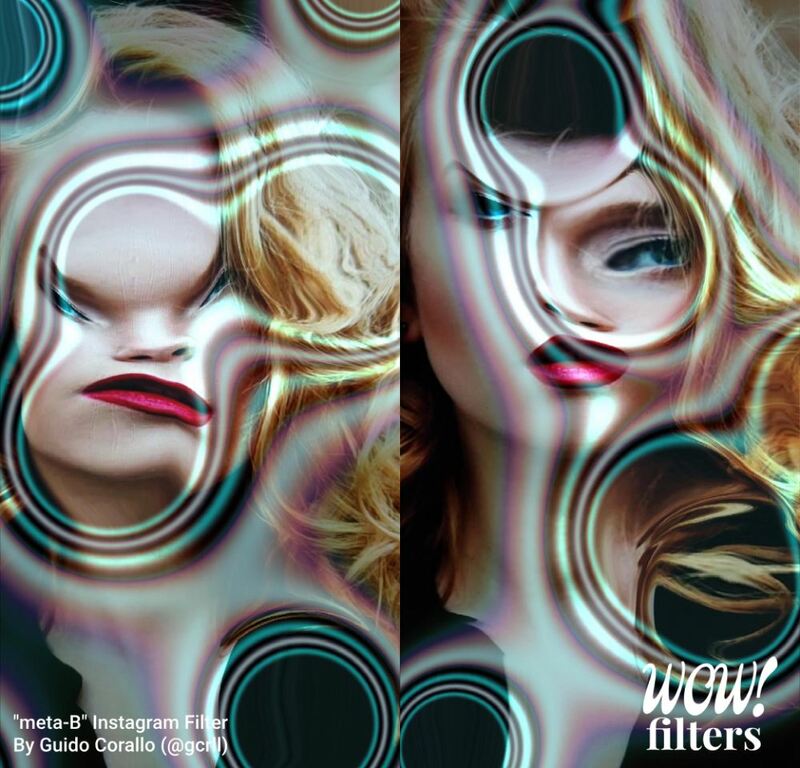 I can't wait to see what other filters Guido Corallo is going to create with that knowledge in math and programming. It's great seeing such a creative coder bringing his knowledge and creativity into the AR world with such awe-inspiring digital artwork. Don't forget to follow the filter creators to gain access to all of their filters.